As parents, we want our children to have a positive relationship with food. All kids need a well-balanced diet in order to grow physically, mentally, and emotionally strong, achieving overall health and well-being. 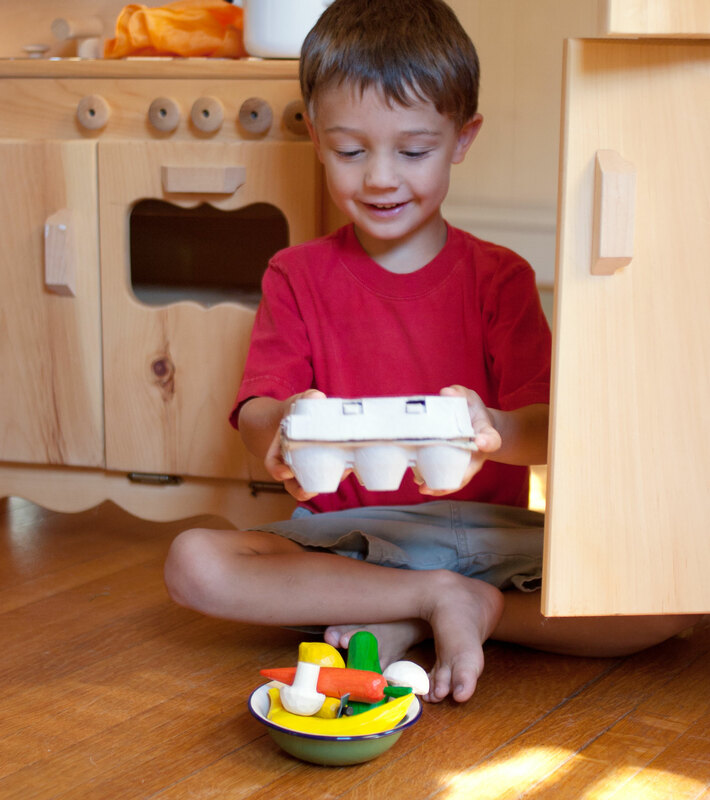 Instilling a healthy attitude and introducing a variety of foods early on not only helps with picky eaters, it can serve to develop a willingness to try new things as well as broaden your child’s pallet. So how do we do this? Including your kids in the regular trip to the grocery store is a good place to start. Use it as a learning opportunity to teach your kids about healthy food groups as well as a developmental tool for their reading and math skills. A stroll through your grocer’s produce department offers a wide variety of colors, smells, and textures to stimulate a child’s natural curiosity. For toddlers, pointing out the various colors and shapes they see in the grocery isle, an orange is round or a banana is the color yellow, helps them with their recognition and association skills. Texture is also an important concept to teach, like how tomatoes are smooth but broccoli is rough and bumpy to the touch. You can even make browsing through the grocery circular beforehand a child friendly activity by pointing to different items, such as apples, tomatoes, and grapes so they can practice their shapes and colors. Then, have them draw one of the fruits or vegetables and pick the proper crayon to color it in. Older children can get in the act too by helping to make the grocery list for you. As you call out what’s needed, have them write the item down on the list so they can practice their spelling skills. A math lesson is just steps away as well. Play a counting game for younger kids by asking how many bananas are in the bunch or how many stalks of celery can you count. Older children can practice their weights, measures, and money skills too. Play a guessing game by having them estimate how much the bunch of bananas costs based on the weight and price per pound. Encourage their discovery and inquisitive nature and use it to start talking about the importance of fruits and veggies to a healthy body. It’s never too early to begin teaching proper nutrition and parents can always tailor the discussion to their children’s ages. Have smaller children draw what they ate for breakfast or lunch and then match it to a food group as a fun learning activity. For older kids, have them match what they ate at a meal to a classification, such as grains, proteins, or dairy. Remember, children model what they see and if we, as parents, make healthy choices, most times they too will do the same. Learning should be fun and everyday activities with your kids can be transformed into teaching tools that not only build their knowledge and skillset but also provide real-world life lessons.